Board index Other Stuff What's Cookin' ? What did you cook today? Share your culinary creations, recipes, food knowledge, restaurant recommendations, etc. 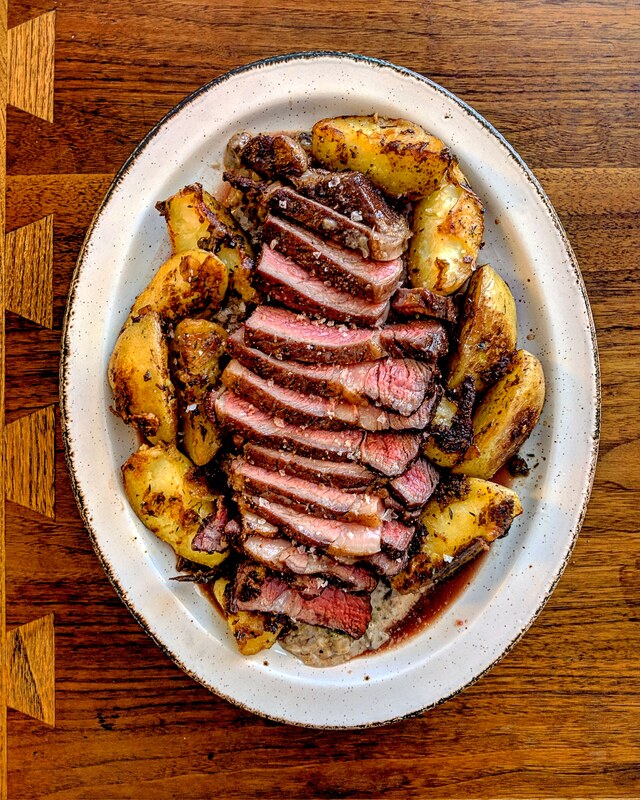 Today's lunch was Ribeye, roasted taters with crispy garlic, pan sauce with gorgonzola, mushrooms, red wine. Re: What did you cook today? My problem is I never think about pictures while I'm cooking. It's always after we've ate that I think "damn, I should have taken pictures of that!" I hope this takes off, it would be a lot of fun! I made Quiche (3) with ham, bacon, smoked gruyere and truffle cheddar. Not cooking per se, but some knife work for breakfast. 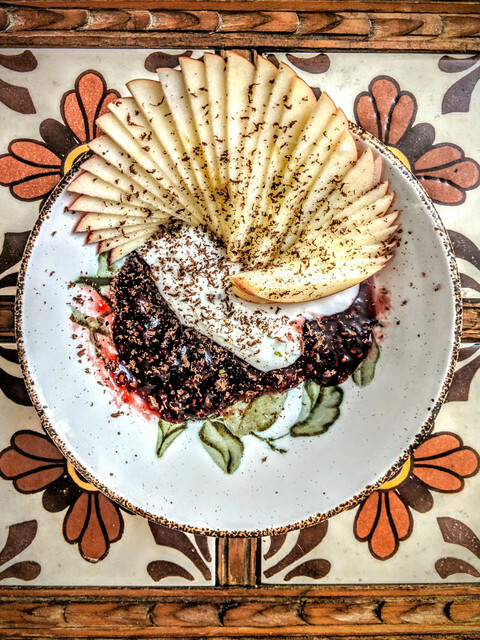 House made currant jam, coconut yogurt, apple, dark chocolate. 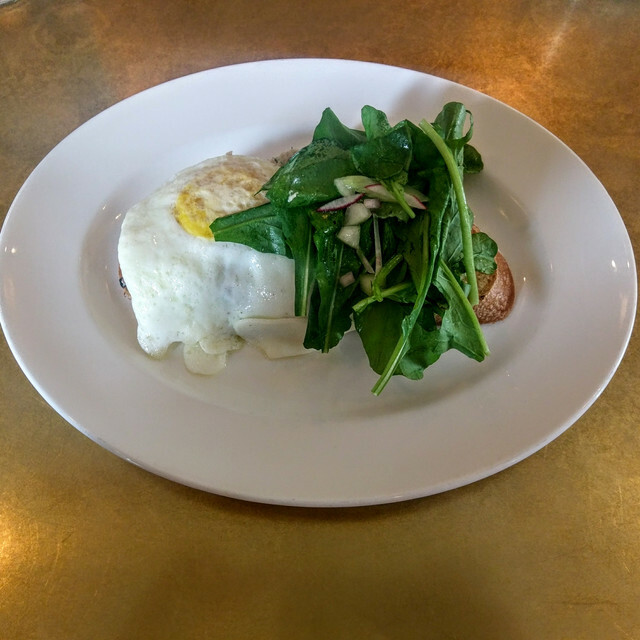 The food tastes better after you've taken a picture. Ask any of the young kids at fine dining restaurants with their phones out. Nice - nothing wrong with store bought crust. I make mine without as I don't need the extra carbs at my age. Ah, didnt notice you have no crust, didya have crumbs on the side or just filling? I make these for my wife who seems not to mind the calories. I'd rather eat pizza! I am hoping to cook something nice this weekend. Keep the pics/inspiration coming ! I hope to cook something good this weekend. Haven't cooked much lately. Just spent about 100 hours renovating/repairing my two kids' rooms. I am finally done! 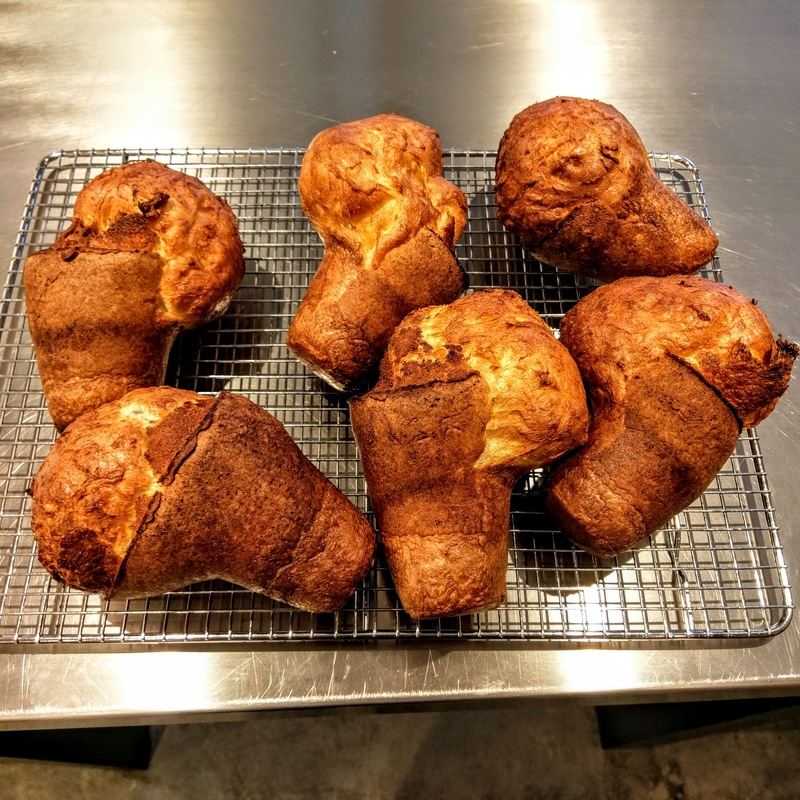 Fresh popovers out of the oven, to eat with a little jam and butter. ^ Yep made that mistake only once. So much faster and so much nicer work with both the brad nailer and powered miter saw. I lightly butter the pie plate then dust with bread crumbs. Popovers on the menu for my weekend - I am going to make some honey butter to toss on them - light honey that just a adds a note of sweetness to unsalted butter with a little lavender (finely minced) as a color and flavor enhancer - have not had popovers since last winter. Thanks for the reminder.